We rehearse during term times on Wednesday evenings from 7:30-9:00pm at Swavesey Village College. If you’d like to join, please do come along. For more information, email us using the form below. Our next concert is on Saturday 30 March in conjunction with Swavesey Music School. Programme to feature “Captain Noah and his Floating Zoo” ! 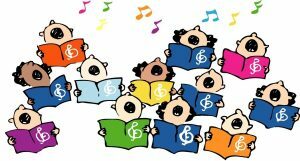 We are looking for an accompanist for our 40 strong choir. This will be for weekly rehearsals (term time only) and 2 or 3 concerts each year. See some further details and contact us if interested.